For all the hours you spend gaming, you owe it to yourself to take the leap on winning a serious setup and system upgrade through The Lenovo & Turtle Beach Headset Gamer Giveaway. 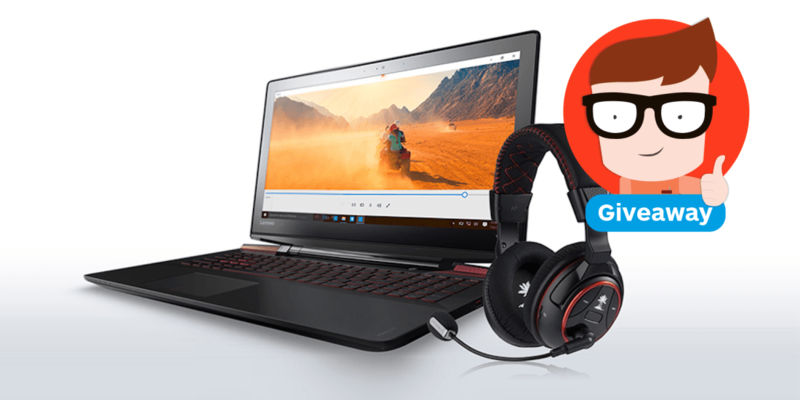 We’re hooking up one lucky gaming fanatic with a Lenovo Ideapad Y700 Touch (15″) Laptop, and Turtle Beach Ear Force Z300 gaming headset – worth a total of $1,279, absolutely free! TNW’s latest gamer giveaway is looking to hook you up with an Ideapad, a hugely powerful touchscreen laptop with quad-core processor, and a Turtle Beach gaming headset to entrench yourself in a fully immersive gaming experience. From brushed aluminum to sharp edges, the Ideapad laptop screams futuristic appeal. The display is a 15.6-inch full HD (1920×1080 resolution) IPS display, with an LED anti-glare backlit screen which features multi-touch functionality. Additionally, Windows 10 is smooth as possible on the ideapad. With a sixth generation Intel Core i7-6700HQ processor coming in at 2.60 GHz, a GeForce GTX 960M with 4GB of RAM, a solid state drive and 16GB of RAM, you can expect this thing to fly. The weak point of most laptops is the speakers – a disappointing, flat sound which lacks the warmth to make listening through it an enjoyable experience. Lenovo is fully aware of this downfall, and have equipped the Ideapad with 2x 2-watt JBL speakers and a 3-watt subwoofer, setting you up with properly powerful audio. The Ideapad’s sound may be great, but we’re going the extra mile in hooking you up with a set of Turtle Beach Ear Force Z300 headphones, to maximize your gaming and digital media enjoyment. A PC headset that boasts wireless Dolby 7.1 surround sound, game-based audio presets and Bluetooth, you’ll be able to enjoy music streaming and phone conversations without ever leaving your game, completing your fully-immersive gaming setup. Winning is simple – TNW readers can just head to the contest page and fill out the online entry form with a valid email address, and you’re automatically entered.